ROYAL WINDOW CLEANING, INC. - History of Royal Window Cleaning, Inc.
History of Royal Window Cleaning, Inc. I started Royal Window Cleaning in 2001. The change in our economy forced my blind company to restructure. The move was only going to be temporary for me while I returned to college to complete my bachelor's degree in manufacturing management. However, most of my window cleaning customers wanted me back and had also told their friends and neighbors about my services. After graduation, I decided to continue and grow my window cleaning business. Consequently here it is, 16 years later and I'm ramping up for another enjoyable season. I look forward to seeing my regular customers and meeting new customers. It is our Goal at ROYAL WINDOW CLEANING, INC to provide all our customers with a quality service at a fair price, ensuring that our customer is 100% satisfied so we can continue a relationship of regular home maintenance. 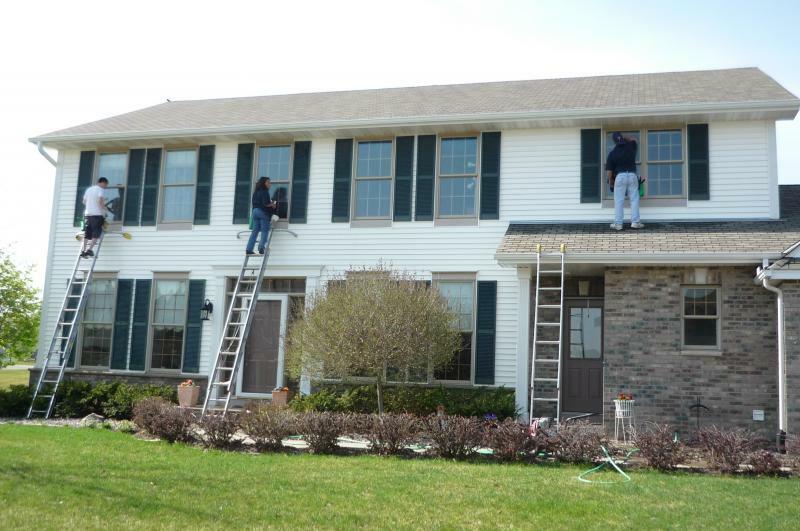 We provide Homeowners with a complete, thorough window cleaning twice a year usually Spring and Fall. The extra time and effort we put in blade scraping all windows and making sure all the sills are wiped clean ensures that our customer can Trust us to do a great job every time. Copyright 2010 ROYAL WINDOW CLEANING, INC.. All rights reserved.